want to be sold the standard sales pitch! design selection quite simple…we just ask them. 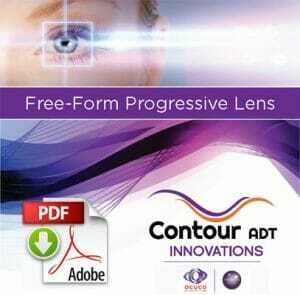 Contour ADT is the latest in freeform design, fitting and manufacturing technology. 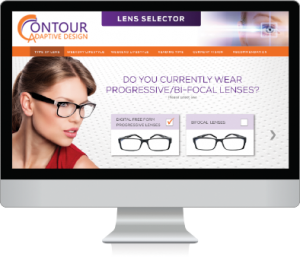 Progressive no line bifocal lenses that deliver consumers better vision, without a complicated sales pitch and expensive fitting tools. In just 3 minutes, the “Adaptive Design Assistant” makes selecting the best progressive design simple for each and every person. A few lifestyle and usage questions, with the guidance of your eye care professional, is all it takes to create better vision.